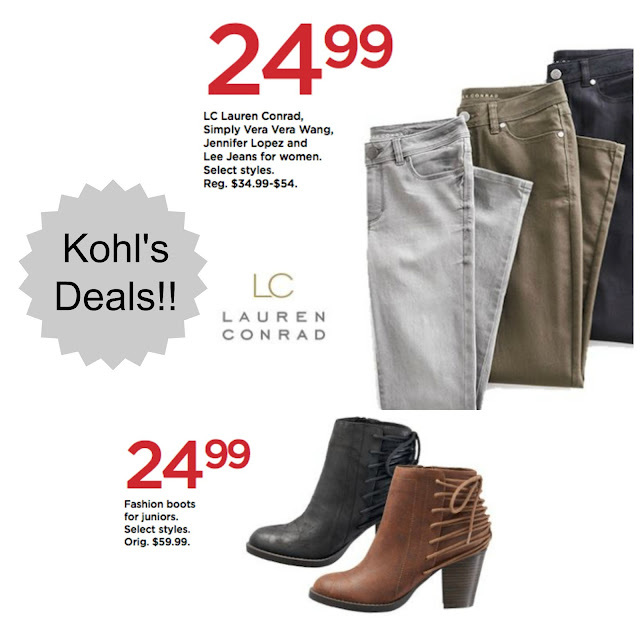 Kohl's $25 Deals! Rebecca Minkoff SALE + More! Happy almost Friday! Today is a really good day to scoop up hot deals for the season before the weekend crowds...of course there's no need to leave your computer since you can shop all the sale online, can I get a whoo-hoo?! DV for Target 65% off bags: under $13!! 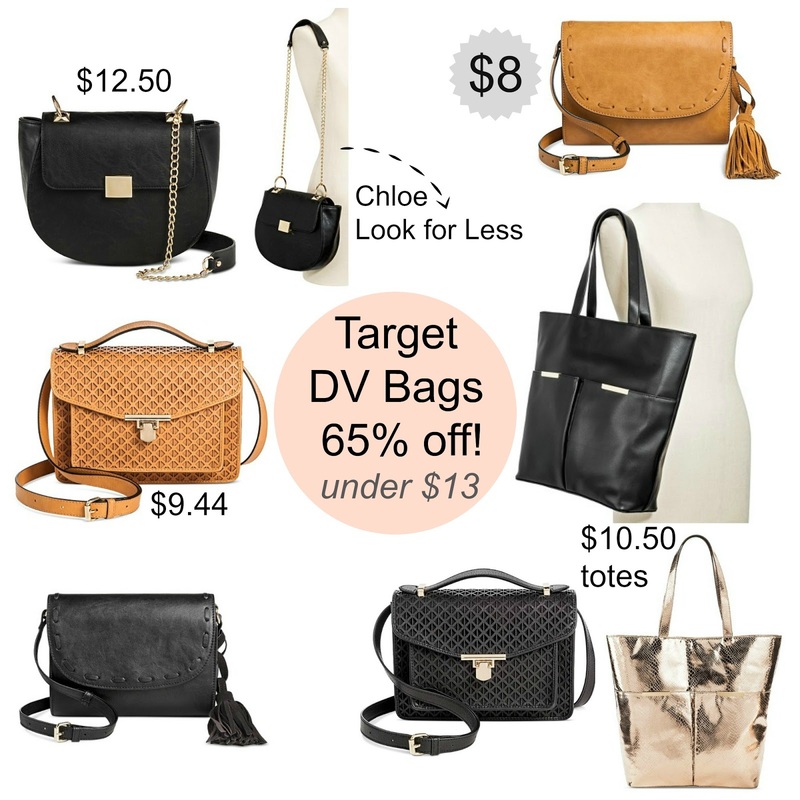 I wanted to share a few Target clearance bags I found online by dv that are under $13! I'll be ordering the Chloé look for less to my cart, I wanted a cute bag I don't have to worry about to take on vacations, if I needed a tote, this one would be perfect...hard to resist for only $10.50! Most of this collection from Dolce Vita is online only, I only see a few bags in select stores, keep that in mind if you are hoping to find one in store. 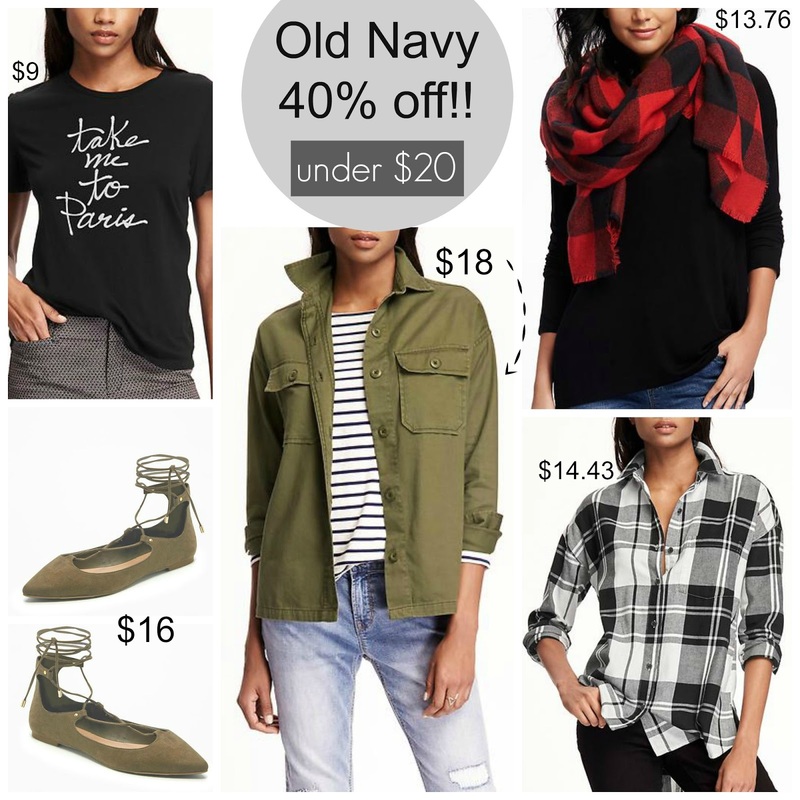 Old Navy 40% off: under $20 faves + 40% off Gap + BR! We are one day away from fall, and while I'm sweating it out in 90 degree heat, I've been waiting for Old Navy to launch their next 40% off sale! I like to pick up a few favorites that have been hanging out in my cart, their flannels are still my go-to on the weekends and this must-have jacket for only $18 is the perfect grab & go piece. In case you missed the lace-up flat trend, I prefer the suede version from ON, the ties are softer than the faux leather. The blanket scarf trend is still huge, grab one at a super affordable price before you actually need one, they sell out fast! 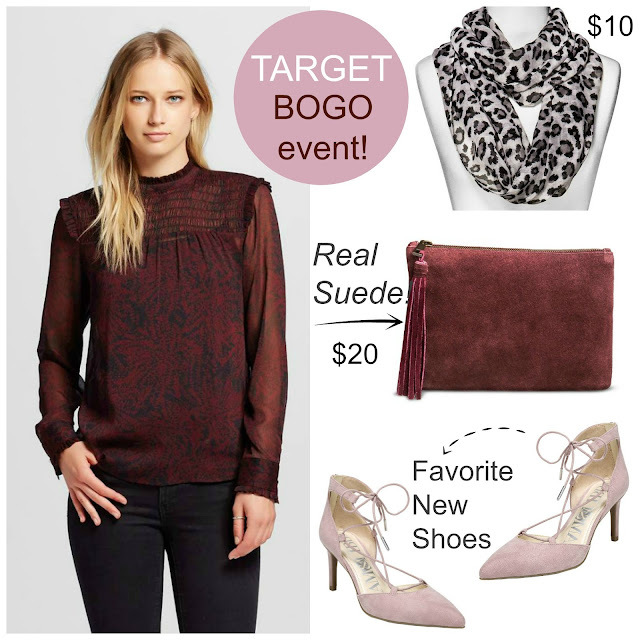 Target BOGO Event + up to 40% off Style Event w/ Cartwheel! Happy Monday! Now is a really good time to hit up Target, okay, more than usual haha ;-) Not only did most stores receive big shipments of new fall merchandise, it's BOGO this week and a ton of Cartwheel offers in store. Plus, the dollar spot and home department continue to see new arrivals. See TONS of Target Store Pics 30%- 70% off Home Clearance + Weekly Deals! This is one of my favorite times to shop at Target, you can find amazing home clearance deals while also getting a look at new fall arrivals. I walked the entire store front and back scouring the aisles for markdowns to share with you on your next shopping trip. Prices vary from store to store of course, so always scan something you might be interested in purchasing, I'm always happily surprised when an item is shown as 30% off can ring up for 50% or in some cases 75% off! Unfortunately most things are still regular price online or unavailable, this is when it literally pays to shop in- store! Bath & Body Works $12.50 Candles are back + FREE item + Weekend Sales! Happy Friday! Another fast week thanks to Labor Day and having a 100 things on my to-do list. While I didn't intend on taking a break this week from blogging, I'm feeling more energized...or maybe that's just my pumpkin latte talking ;-) I stepped away from Instagram after the latest update kept freezing my phone and feeling frustrated with both my cell and computer (hello rainbow spinning wheel...again). It's amazing what you can accomplish when you aren't attached to your phone, I'm finally finishing up some apartment projects after my semi-recent move. 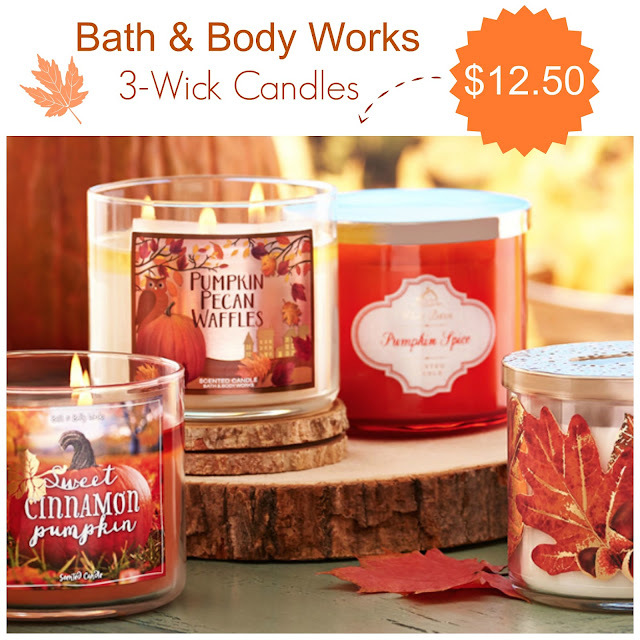 Since I didn't do much shopping either (which always surprises even moi), I am planning on stopping by Bath & Body Works to stock up on more Pumpkin Pecan Waffle candles, seriously you have to try them! Have a wonderful weekend fashionistas! Your HUGE Guide to Labor Day SALES! Early Labor Day deals are here! I love that you can shop the big sales before the long weekend begins for less crowds and a better selection, you're welcome ;-) I'll be updating the sales list daily through Monday, be sure to check for new deals! Have a fashionable and relaxing Labor Day weekend!